Google AdWords is an online advertising program that broadcasts different kinds of ads across the Google platform. Every time a customer is searching something related to the business’ products or services, their ad will show up on top of the results. Google AdWords also help businesses in attracting new customers. The program further enables them to reach their target audience and not just anytime—at the right time so they can increase their chances of converting onlookers to paying clients. Moreover, Google AdWords is a cost-efficient advertising platform. Businesses only pay a fee when interested people click on the link to their website or give the company premises a call. Plus, users can start with any budget, enabling them to invest only the amount they are able to. One of the attractive things about Google AdWords is its pricing plan. There is no set monthly fee for the program—advertisers set their own budget and they only pay Google when their ads work. This lets them have a tighter control over their advertising budgets and also lowers their overhead costs. Advertisers get to choose which kind of ads they wish to display with Google AdWords. The platform supports text-based search ads, graphics display ads, video ads, and in-app ads. When businesses know where to find their audiences and how to attract their attention, then they can optimize their ads to increase their chances of winning new customers. Google AdWords affords advertisers the ability to broadcast their ads to a set location. This means that they can advertise locally in their respective cities, regions, districts, or countries. If they wish to go global, then they also have the means to do so through the platform. This enables businesses to better get in touch with their intended audiences. 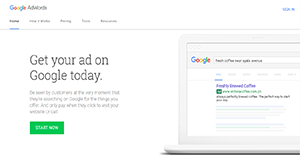 Google AdWords lets businesses know how well their ads are faring. The platform provides them with tools they can utilize to ascertain how many people see their ads, visit their website, and call their business premises. This way, businesses can further optimize their ads. Each organization has different requirements and requires an application that can be customized for their size, type of employees and clients, and the specific industry they are in. For these reasons, no software can provide perfect tools out-of-the-box. When you search a software app, first be sure what you want it for. Read some Google AdWords reviews and ask yourself do you want basic functionality or do you need advanced functionality? Are there any industry-specific features that you are looking for? Get the answers to these questions to aid your search. There are plenty of factors that you need to consider and these include your budget, specific business wants, your organization size, integration requirements etc. Take your time, try out a few free trials, and finally select the app that presents all that you need to boost your company competence and productivity. Google AdWords comes with a flexible enterprise pricing plan. Businesses set their own budget and they pay only when customers click on their ads or telephone them. We realize that when you make a decision to buy Marketing Software it’s important not only to see how experts evaluate it in their reviews, but also to find out if the real people and companies that buy it are actually satisfied with the product. That’s why we’ve created our behavior-based Customer Satisfaction Algorithm™ that gathers customer reviews, comments and Google AdWords reviews across a wide range of social media sites. The data is then presented in an easy to digest form showing how many people had positive and negative experience with Google AdWords. With that information at hand you should be equipped to make an informed buying decision that you won’t regret. What are Google AdWords pricing details? What integrations are available for Google AdWords? Google provides access to the AdWords API, which allows applications to directly connect to the AdWords platform. To learn more, visit the dedicated webpage or contact support. If you need more information about Google AdWords or you simply have a question let us know what you need and we’ll forward your request directly to the vendor.